National, local, and personal memorials mark Canada’s sacrifice during the First World War. Canada’s National War Memorial, unveiled in 1939 by King George VI and Queen Elizabeth, is located at Confederation Square in Ottawa. Designed by Vernon March, it took 13 years to build. Twenty-two figures representing the infantry, artillery, air force, nurses, cavalry, support services, forestry, and navy march through a triumphal arch. Allegorical figures represent peace and freedom at its apex. Originally built to honour the sacrifices of those who served in the First World War, in 1982 the dates for the Second World War and the Korean War were added. In 2000, the Tomb of the Unknown Soldier was added to the base of the memorial. This site hosts Canada’s national Remembrance Day ceremony each 11 November. The Peace Tower at Parliament Hill, visible from the national memorial, was completed in 1927 as a memorial to the war after a fire burned Canada’s Parliament in 1916. The Memorial Chamber at the base of the Tower contains the official Books of Remembrance, commemorating all those Canadians who have died in uniform since Confederation. The loss of more than 60,000 dead during the First World War served as the inspiration for the books, and the First World War Book of Remembrance was the first to be completed. It remains the longest, with more than 66,000 names, including all military personnel who died from 4 August 1914 to 31 April 1922. Because several thousand personnel died after the disbandment of the Canadian Expeditionary Force, this total is somewhat higher than the figure usually given for Canadian deaths during the war. Nearly every community across Canada, as well as many neighbourhoods, public associations, and civic groups, maintains a war memorial. 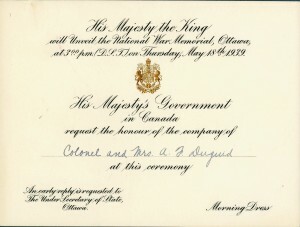 With the remains of Canadian service personnel left overseas in imperial cemeteries, Canadians at home commemorated the dead by raising money for local memorials, which were usually placed in positions of prominence near city halls, in downtown parks, or near other memorials. The memorials generally had inscribed upon them the names of the community’s dead, and their construction, installation, and naming were major civic preoccupations through much of the 1920s and 1930s. installing stained glass windows in churches and public buildings. For the families and loved ones of fallen soldiers, grief and sorrow usually occurred without the finality or closure offered by having funeral rites or burials at home. 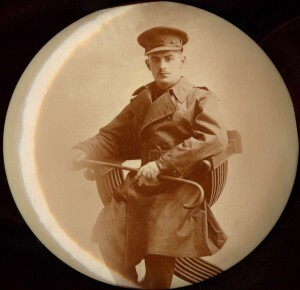 Their memorial efforts might have included participation in national or local commemorative efforts, but they also involved oral traditions; maintaining and displaying cherished photos, letters, or memorabilia; and preserving physical objects as private acts of remembrance. In addition to the personal effects or papers of the deceased, these might also have included official commemorative items. 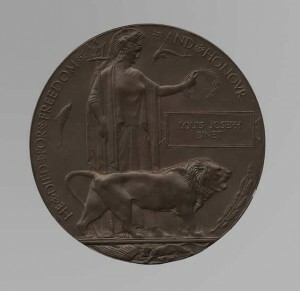 The British government, for example, issued a Memorial Plaque, along with a commemorative scroll, to the next-of-kin of every British service person who died during the war. Known informally as the “Dead Man’s Penny,” the plaque was cast in bronze and carried the full name of the deceased, but not his or her rank. 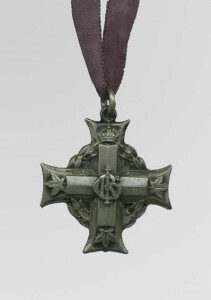 In 1919, the Government of Canada instituted the Memorial Cross, more commonly known as the Silver Cross, for the mothers and widows of Canadian soldiers killed on active duty. It is still distributed. The Memorial Cross, also known as the Silver Cross, was first created in 1919 for the mothers and widows of Canadian military personnel who died in service. This one was presented in honour of Private Philip Lariviere, a Métis soldier from Camperville, Manitoba, killed on 11 August 1918 while serving with the 1st Canadian Mounted Rifles. 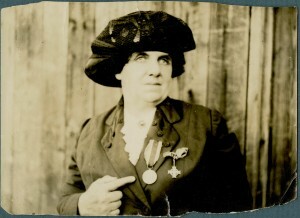 Lariviere and many other First Nations volunteers from across Western Canada had enlisted in the 107th Battalion in 1916. Overseas, the unit was converted to a pioneer battalion and many individual soldiers were sent to reinforce other units.